Buying a cell phone couldn’t be easier in Europe. They practically throw the things at you. But what is normal in Europe, often isn’t in Japan. 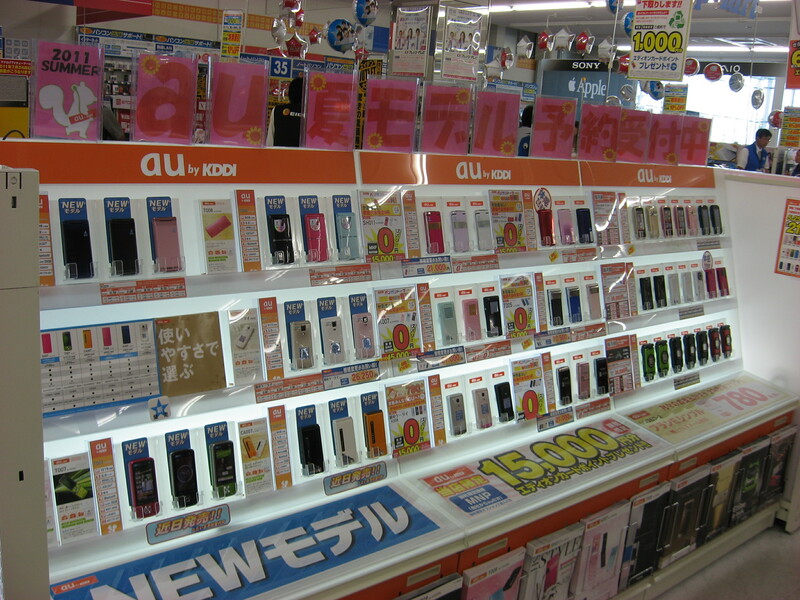 In Japan, buying a cell phone and registering for a phone number is serious business. It’s best to set aside the better part of a day to do it. And if you’re new in Japan, I recommend getting some help from a local. 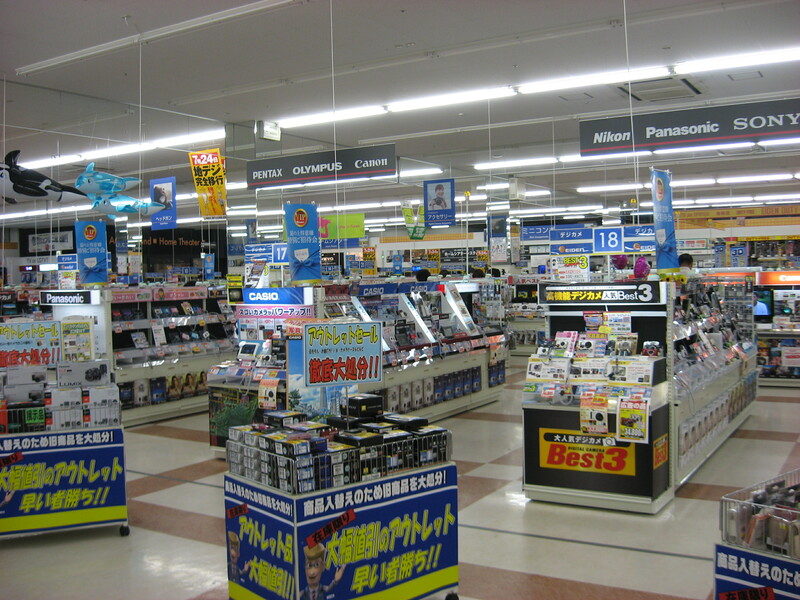 To buy our Japanese phones, we went to a huge electronics store in Toyota City called Eiden. It’s two floors of electronica heaven – or hell, depending on how well you respond to an overdose of visual and auditory stimuli. First things first: picking out a phone. Typical Japanese cell phones are a lot bigger than European ones (my Japanese phone is 11 cm by 5 cm). Although these days, many people in Japan have a smart phone, which pretty much looks the same all over the world. Picking out a phone is it the fun part. After that, the paper work begins. There is an endless pile of forms to complete, documents to register and questions to answer. All the registration is done by means of carbon paper, not computerized forms. Not quite what I had expected from a high-tech nation like Japan. Fortunately the famous Japanese customer care makes it all bearable. We are helped by the most ‘kawaii’ (cute) and bubbly salesperson ever. While we are waiting for our documents to be checked (which takes more than an hour), we are free to wander around the store or even go grab a bite to eat somewhere. They will contact us when everything’s ready. 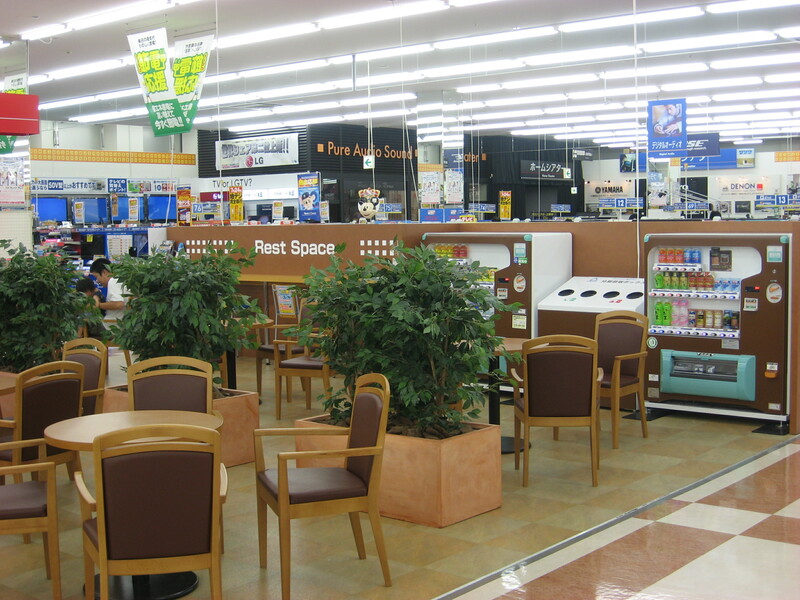 As if that’s not enough in terms of customer care, the store features a rest space where the weary shopper can repose during their shopping spree. After having spent many an hour in that store, we finally get our phones. Now we’re ready to start having a social life in Japan. FYI: phones in Japan come with their very own e-mail address. So it’s even possible to send e-mails to phones that don’t connect to the internet. Very convenient! Eiden Toyota City, or at least how it's supposed to look like according to Eiden website (click on the photo to be redirected). This entry was posted in Culture, Japan, Store reviews and tagged Cell phone, Communication, Electronics, Impressions of daily life, Japanese culture, Shopping, Toyota City by Haruko-chan. Bookmark the permalink. Not like the Philippines if you have money its like buying pop corn..you can have cell phone in second. Haha I really like ur post! You speak my mind! It tools us 1.5 hrs to get our phones and so much paperwork. When we left Japan, we had to cancel our phones and that took hours too! I also thought the same as u that such a high tech society would have proper technology systems to help them be more efficient? I guess not. I already dread cancelling our phones. Maybe it will be easier to just not cancel them and wait out the end of the contract. Continuing to pay the monthly fee may be cheaper than trying to terminate the contract before it’s time is up and pay a fine. Yeah I was amazed. I was expecting they would try to make it as easy as possible, in order to sell more. Yeah, I agree with you. I think it is better for foreigner to have some one local who can help you to get your new mobile in Japan. Sooo much paper work to do compared to Europe.